My brother Peter was an amazing guy. He was a true patriot. He loved people and was always there to help friends, family, strangers. Becoming a firefighter with the FDNY was his childhood dream. He left behind a remarkable wife who was 6 months pregnant with their 2nd child and a beautiful 2 year old daughter. What he did on that horrific day, his unselfish acts of kindness, compassion and dedication is something we will never forget. It is difficult to experience the feelings of sorrow and gratitude together. Thank you Peter, till we meet again, we love and miss you. As my brother Vinny Brennan says Peter was a amazing guy. He loved helping people. 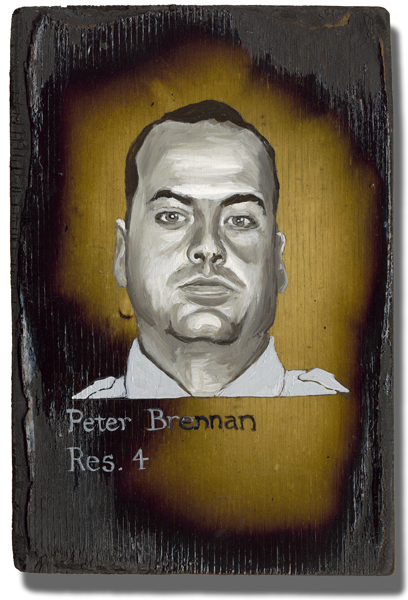 My father used to call me every other day to tell me what Peter did, from when he was a N. Y. EMT, N.Y. Police Officer and then his dream job, N.Y. Firefighter. We are proud of you Peter and all that you have accomplished. We love you and miss you and wish with all my might you were still here. Your sister in Oklahoma.